﻿ How to Rip DVD to SSD Drive on PC/Mac/Tablet? How to Rip DVD to SSD Installed on or Connected to PC/Mac/Laptop? If you wish to backup and put your DVD collections to solid-state drive for better storage, professional DVD ripper is a must-have. Samsung released two PC-based SSDs (960 Pro and 960 Evo) in late 2016. 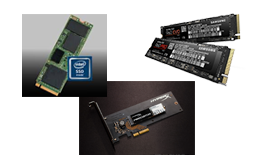 By upgrading 2D NAND (used in hot 850 Pro) to 3D NAND (48-layer V-NAND) and using newer NVMe, new 960 Pro flagship SSD delivers "the word's fastest" - 3500 MB/s read and 2100 MB/s write- and achieves up to 2TB storage capacity. Different Level Cell makes the two models' speed in different level. 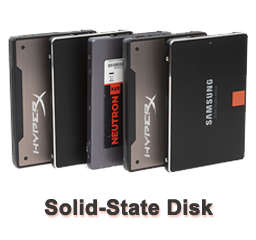 SSD, short for solid-state drive, gains its popularity in recent years for increasing computer's system speed, either Windows (10)/Mac OS X computer or laptop. Speak of laptop, we can't help thinking about Ultrabook, the topping outcome of SSD, super thin, light and fast. MacBook Air, Surface Book, Lenovo Yoga, Samsung Notebook and Acer Aspire are typical examples. Is it possible to rip DVD to SSD? And how to backup DVD to SSD-equipped computer with high quality with ease? Get answer in this guide. WinX DVD Ripper Platinum- is able to rip DVD to all common formats by circumventing any copy protection mechanisms of DVD, making DVD to SSD copying an easy job. How to Rip and Convert DVD to SSD Storage on Windows (10) or Mac OS X? Question: My computer has a SSD drive and I do not wish to store and backup my media files to the C drive. I wanna rip my dozens of DVD movies to native SSD drive (E), would you recommend me an easy-to-handle tool and instruct me on how to transfer DVD to SSD for fast playback? Many thanks. Actually, the way to rip DVD to SSD drive is the same as DVD to hard disk. In view of the diversity of the DVD collections, free DVD rippers like HandBrake, MakeMKV and DVD Shrink are not recommended for long-term using. Because they will often get tripped up on some copyright protections. Thus, WinX DVD Ripper Platinum, the No.1 DVD ripper with clean interface, comprehensive output formats and up-to-date devices (like iPhone 8/X), is your top-choice. Follow the steps below to help you rip DVD to SSD-equipped computer as smooth as possible. Step 1: Insert DVD disc into DVD drive. Being recognized, it will show up at computer in CD Drive. Step 4: Then an "Output Profile" window pops up, where you can choose a video or audio format for further enjoying. If you prefer to rip DVD to digital video without any quality loss, four DVD Backup options are provided: Main Title Content Copy, Full Title Copy, Clone DVD to IOS Image, Clone DVD to Folder. The output confirmed, click "OK" to proceed. Step 5: When tuning back to the main interface, all DVD information can be seen. The right title is checked by DVD ripper, DVD subtitle and audio channel can be chosen at will. Even the video can be cropped and trimmed in Edit feature. Step 6: "Browse" and select a folder in SSD drive for saving the output DVD media file at the Destination Folder section. Step 7: Press "RUN" to start DVD to SSD converting. To make sure the task being finished stable and rightly, it's better to check "Safe Mode" above the RUN button. WinX DVD Ripper Platinum promises to give you the No.1 fast DVD ripping speed, the most user friendly design and the most comfortable after-sale service. 2. Paste & Analyze 4K video URL found on YouTube, or any other 300+ video sites, like Metacafe, Dailymotion, XNXX, etc.